Story Into Screenplay: Telling A True Story? Don't Let The Facts Get In The Way! Telling A True Story? Don't Let The Facts Get In The Way! From Homer's Iliad, to Shakespeare's “history plays” to the recent spate of “based on a true story” movies like BlacKkKlansman, Bohemian Rhapsody, First Man, and White Boy Rick, authors and dramatists have found a wealth of story ideas in historical events. However, films and TV shows that have purported to tell “true stories” have been attacked for not always sticking to the facts. In recent months, I've worked with a few clients who have been developing scripts based on historical figures and events. While the stories they want to tell are compelling, these writers also risk being drawn down what's called the “research rabbit hole”. They get so intent on doing all the research and making sure their facts are correct, that they forget that their job is to TELL A STORY, not write a history paper. The key to writing a successful historical screenplay is the same as that of writing a successful script out of pure imagination: create compelling characters, and place them into conflict. The VOTE Method can show you how to create strong characters in just a few lines, as well as how to create powerful conflicts between those characters. One of the facets of a successful screenplay is the creation of a memorable antagonist. In some historical screenplays, the writer had to forgo historical accuracy to create an antagonist that could challenge their main character. 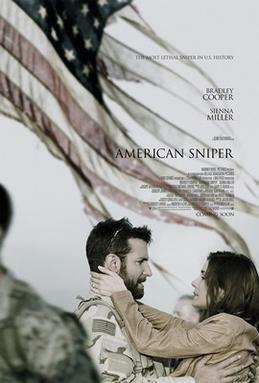 In American Sniper, screenwriter Jason Hall created “The Butcher”, an enemy sniper to challenge American sniper Chris Kyle (Bradley Cooper). In A Beautiful Mind, writer Akiva Goldsman created the character Parcher (Ed Harris) to represent John Nash's (Russell Crowe) mental illness. Just as with adaptations from other media, a writer who seeks to create a screenplay based on true events should not tie themselves down to those events, characters, and sequences if they don't fit the narrative. Changing the order of events, combining characters, or even making up characters out of whole cloth is totally permissible (within reason) when writing a historical screenplay. Your job is to do enough research to establish the characters, get a feel for the events, and tell the story in the most compelling and entertaining way possible. After all, “Titanic” wasn't the most historically accurate film of all time, either, but that didn't stop it from making over $2.1 BILLION worldwide. Now that's what I call “making history”! If you need advice on how to make your historical screenplay resonate with audiences, contact Story Into Screenplay. We offer one-on-one consultations, coverage-style reports, and full script writing and re-writing services. You can reach us at storyintoscreenplayblog(at)gmail(dot)com, or send a message through our Facebook page.